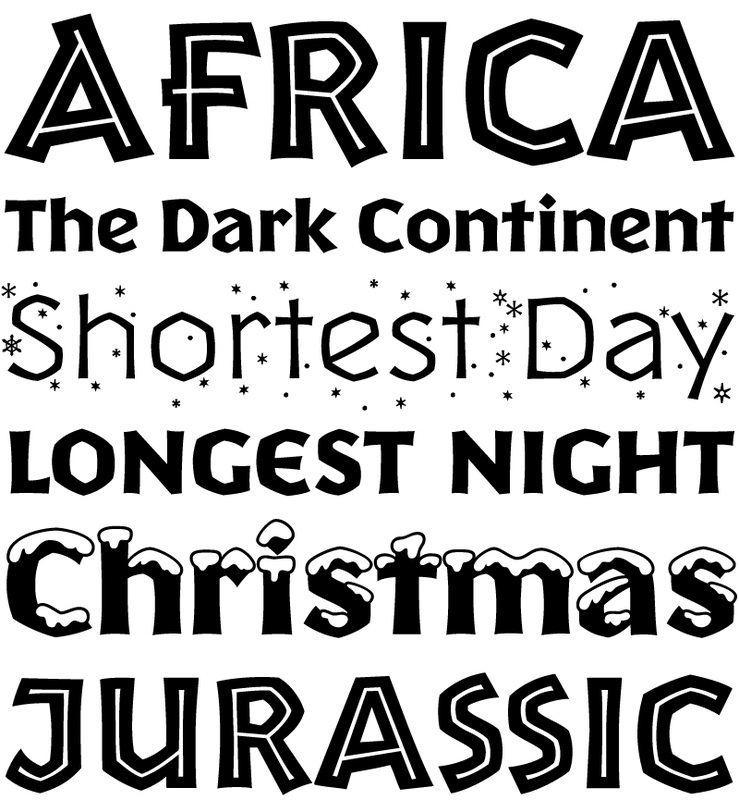 Yule is a display font family inspired by ancient inscriptional writing, from a time long forgotten. With visual references to Anglo-Saxon, Celtic, medieval, Germanic and even a bit of ancient Greek incorporated into the Roman letter forms, Yule is purposely vague to give a foreign yet familiar feel. 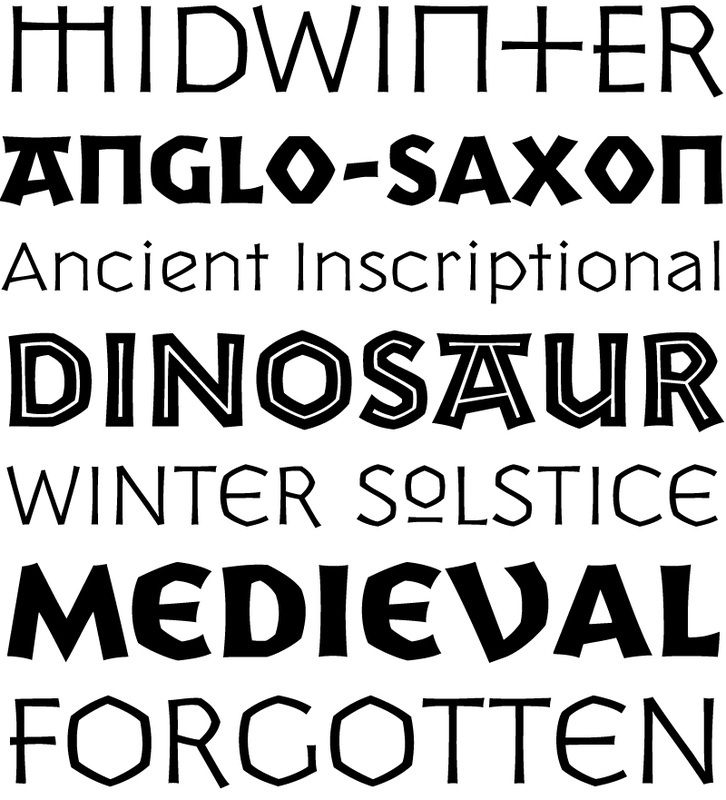 Yule Regular and Heavy are all cap display fonts. 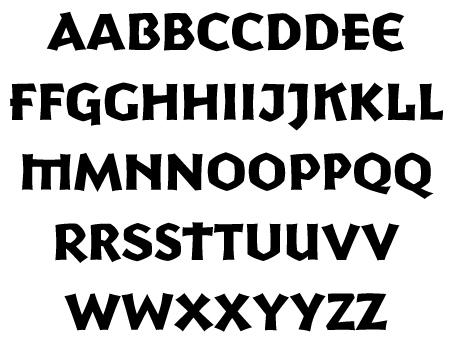 The placement of the glyphs in these two fonts has the more more traditional Roman letters as the lower case and the more unusual letterforms as the capitals. Basic Character Set for Yule Kline Regular. Yule Kline Regular and Kline Heavy variations include a true lower case, making Yule infinitely more versatile. 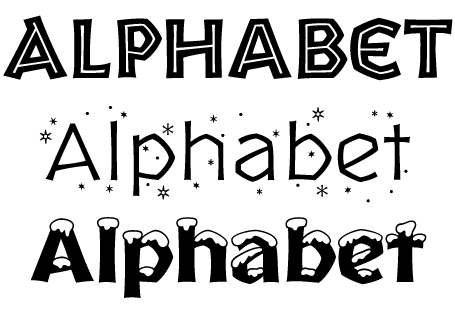 The Klein versions can work well as an alternative to Neuland when you need the versatility of a lowercase. Yule novelty display faces: Inline, Light Flurries, Heavy Snow. In addition, there are 3 novelty display versions of Yule. Inline has the middle carved out. Heavy Snow is blanketed in the white stuff, while Yule Light Flurries is dusted with snowflakes.